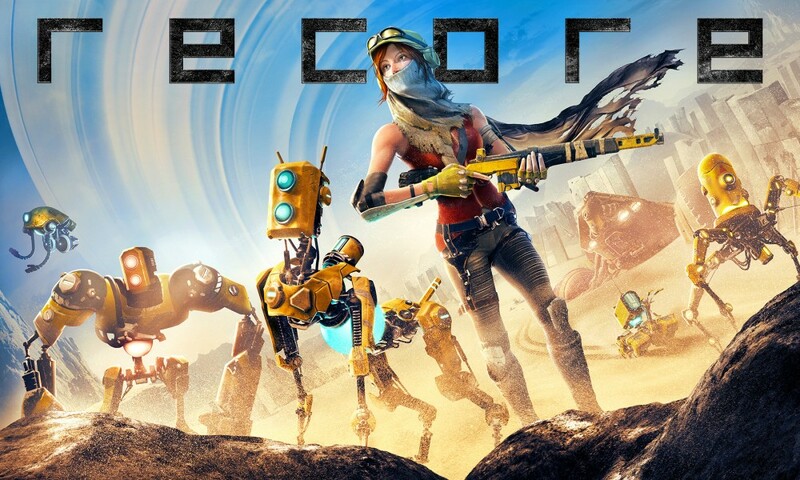 ReCore released this week, but a seeming omission has raised the question of whether content was cut. The game features a handful of robotic "frames" that can be rearranged between three robot personalities: Mack, Seth, and Duncan. Each allows different combat and traversal options. The promotional artwork features five frames (left to right): flyer, ape, K9, tank, and spider. But as far as several vocal fans on the ReCore subreddit have been able to tell, the tank (T8-NK) is nowhere to be found. There are allusions to the tank in the game. The Hunting Challenges have a blank space for one more frame. You can find upgrade parts designated with T8-NK. One dungeon, the Quicksand Rally, uses the tank icon in its requirements to complete the objectives. Enemies are generally corrupted versions of the frames, and one enemy type is clearly a corrupted tank. Plus, the world is full of quicksand areas with no other apparent way to traverse them. The T8-NK can be seen in promotional artwork making a tread pattern through sand, signaling that this would be its gameplay function. Several areas are difficult or even impossible to reach without the tank, unless you rely on glitches. One notable area that a user glitched his way to, shown in the video below, is completely empty. One of the doors between open world segments is locked from one side, and the other side requires the tank to traverse the quicksand. Be warned, the video spoils the ending of the game. Shacknews has reached out to Microsoft regarding whether the T8-NK frame is in the game, and if so, where and how to obtain it. We will update as more information becomes available. Steve Watts posted a new article, ReCore: Where in the world is the T8-NK tank? Everything I've heard and read makes it seem like this game had a ton of content cut and shipped full of bugs. rudds has a video showing a death loop save where his character just keeps falling through the world and dies. Hopefully they will at least patch out the bugs. I haven't run into too many issues yet, and thank goodness seems to be running fine on PC.